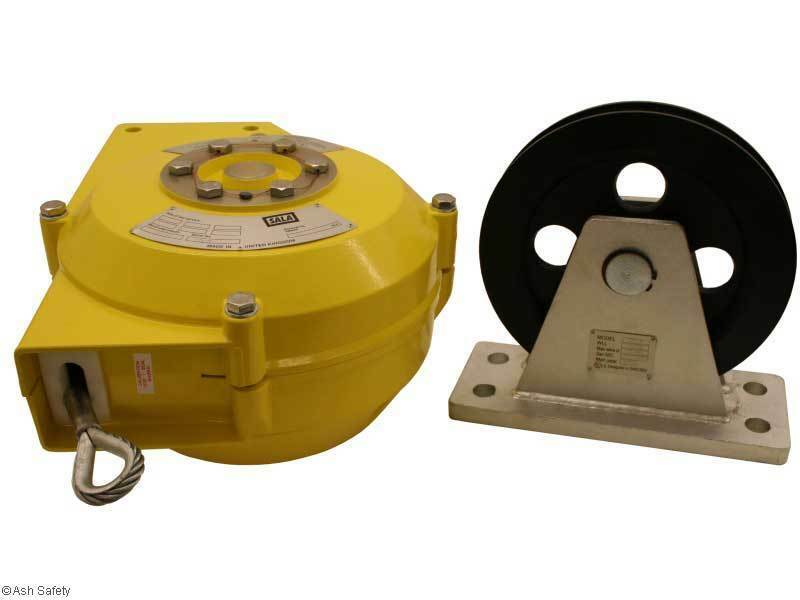 The Sala medium range load arrestors with pulleys offer protection to a load from 100kgs up to a maximum of 3000kgs. The units have an activation speed of 0.5 metres per second. 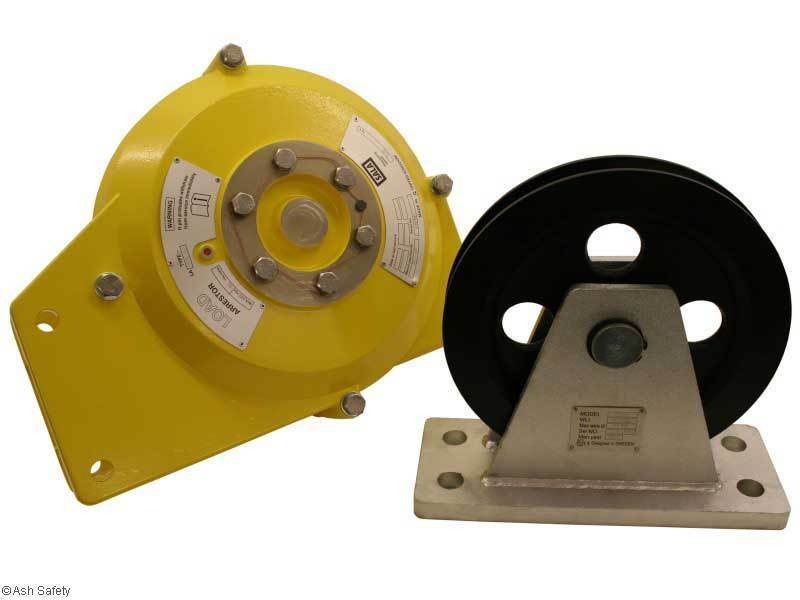 The standard medium range units weigh 42kgs with the pulley weighing 18kgs, they have a working length from 2.5 to 10 metres with galvanised cable diameters from 7 to 11mm. Each unit requires an anchorage at the unit and at the payload and this is shown on our anchorage calculation chart.